Home Unlabelled Collapse Uche Nwosu's Structures Into Hope Uzodinma's For 9th Guber Election Or....! Imo State, Rochas Okorocha is About to Order Uche Nwosu To Call Back His Campaign Train and Suspend his governorship bid With Immediate Effect. 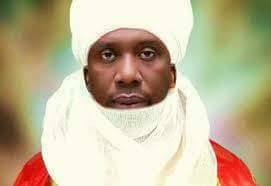 The Governor was quoted to have concluded plans to instruct his son in-law to wind-up all activities pertaining to his governorship bid. In a closed door meeting this afternoon with his trusted associates and confidants, and as a fallout to his suspension, the embattled Governor who just got suspended this afternoon by the NWC of the APC, told his audience that the President has specifically ordered him to deliver Sen. Hope UZODINMA as the next governor of Imo state. Okorocha lamented before his audience, that His hands are presently tied. He pleaded with his loyalists to reason with him and deliver Sen. UZODINMA in all their booths, wards and LGAs just to save him from federal persecution. 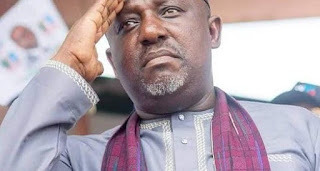 Okorocha accused the President for betraying him. In his own words, "This President waited until we delivered him, he then turned against us". We will fight back someday, but certainly not now the Governor added. You may recall that Okorocha has been under intense pressure lately from the power that be, to make a "U" turn immediately and throw his full weight behind Sen. Hope UZODINMA or risk going to jail. This afternoon, the Governor who pocketed a controversial Senate Seat last Saturday after forcing the Returning Officer, Prof Ibeawuchi under gun point to declare him Senator-elect, was heavily warned by Presidential handlers to stay away from the governorship election if he was not going to support the Candidate of APC, Sen. Hope UZODINMA.